A new Magneti Marelli Automotive Lighting plant has been inaugurated in Changchun, in JV with FUDI. 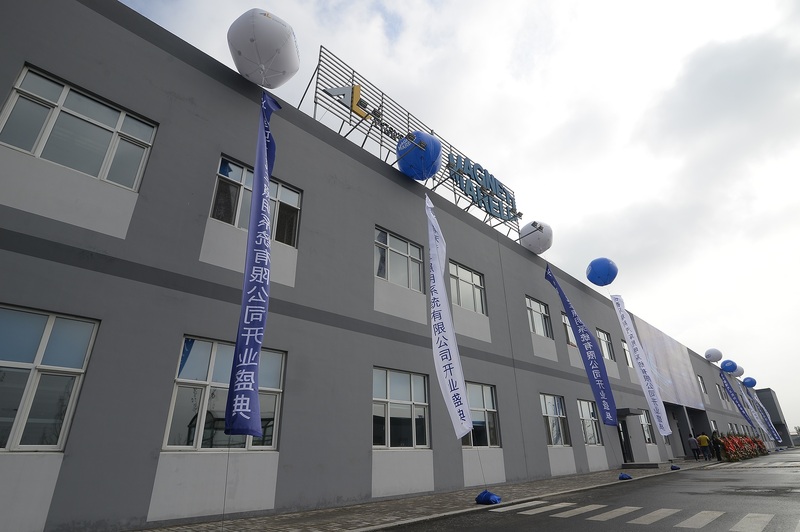 Automotive Lighting, the Magneti Marelli division dedicated to car lighting, and Changchun Fudi Equipment Technology Development Co. LTD. (FUDI), a Chinese investment company with activities in the automotive component industry, today inaugurated the new plant of their joint venture Changchun Magneti Marelli Automotive Lighting System Co., Ltd, established in December 2015. The plant is located in the Emerging Industrial Park, Economic and Technological Development Zone in Changchun, capital of the province of Jilin, in the North-East of China, and covers an area of 30.000 square metres, 17.000 of which are dedicated to the production of LED headlights and rear lights. The opening of a new plant in China dedicated to the production of lighting technology is a result of the growing demand for LED systems from clients such as FAW-Volkswagen and BMW, among other OEMs. The annual production capacity forecast for 2019 is about 1 million headlights and 500.000 rear lights. The initial workforce is 100 people and at full capacity the number of employees will reach 800. “The new Changchun plant – said Pietro Gorlier, CEO of Magneti Marelli, – represents the ideal completion of the wide-ranging footprint of the lighting business in China, also covering the North-East of the country, a strategic region for the automotive industry, where important clients focusing on high technological value are located. In this sense, Fudi represents the ideal partner for Magneti Marelli for the establishing of the lighting business in this region and for the offering of support to clients in the best possible manner”. Magneti Marelli has been present in the country since 1996 with production plants and R&D/Engineering Centres in Shanghai (the new headquarters recently inaugurated in May 2016, SAGW Powertrain JV), Wuhu (Automotive Lighting and Powertrain), Guangzhou (Electronic Systems, Suspension Systems and Plastic Components and Modules), Changsha (Exhaust Systems), Hangzhou (Shock Absorbers in JV with Wanxiang Qianchao Company), Changchun (Powertrain and Automotive Lighting in JV with FUDI), Hefei (Exhaust Systems with JAC and Lingdatang), Foshan (Automotive Lighting), and Xiaogan in the province of Hubei (China South Industries Group Corporation - CSI Automotive Lighting JV). Magneti Marelli Automotive Lighting has been active on the Chinese market since 2005, the year in which the first production site was inaugurated in Wuhu. In order to respond to the growth of the Chinese automotive market, two other plants were then built: a second site in Foshan (Southern China) in February 2012, and one in Xiaogan (Hubei Province) in 2013, following a JV with China South Industries. Furthermore, the Automotive Lighting central headquarters and R&D Centre in China is located in Shanghai.